Ninety-one-year-old Natalie Cohen is one of a kind. She played competitive tennis for 73 years, winning 13 Georgia State Women’s Open Doubles Championships. At age 42, she won both the Atlanta City and Georgia State women’s singles and doubles championships, equivalent to the state’s Grand Slam. 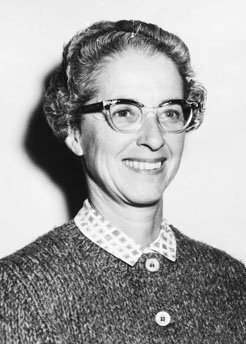 She was the first woman to chair an NCAA men’s tennis championship and the first Southern woman to chair a match at Forrest Hills in the U. S. Tennis Championships. For more than 50 years she was a certified tennis official, serving as linesman, umpire and referee for the city of Atlanta, state of Georgia, Southeastern regional, NCAA and professional tournaments. But one of Cohen’s greatest feats had nothing to do with tennis. It had to do with firing up her alma mater’s football team in its game against arch-rival Stanford. At age 74, she burst into the locker room of her California Golden Bears at halftime and delivered a pep talk that would have rivaled one of Knute Rockne’s. The Bears were so motivated that they raced back on the field, overcame an eight-point deficit and upset the heavily favored Stanford Indians, 17-11. As a student at Cal, Cohen had changed the way women were treated at home football games. It was 1930 when she went to the opening game at Cal’s Memorial Stadium. “I sat with my friends, a bunch of women in Section RR next to the men’s rooting section, where women were not allowed. As soon as the Cal team came on to the field, I stood up and let go with a beautiful ‘Rebel yell,'” Cohen remembers. “This guy is telling me I am going to be here for four years and I am not going to be allowed to yell for my football team. I’m thinking, he does not know Natalie Cohen. “Well, for the rest of that first game, I did not stand up or yell again. But the next Saturday I arrived early at the stadium and brought a bunch of women with me. We sat in Row 30, Section RR, across the aisle from the men’s section. She may be the only woman to have a seat dedicated in her honor. Seven years ago, in section RR, at the Cal home opener, Seat 1 was named the “Natalie Cohen” seat. How did Cohen get to California in the first place? She was born and raised in Atlanta, and attended Fraser Street and Inman elementary schools, Bass Junior High School and Girls’ High School. She began playing competitive tennis at age eight and when she stopped at age 81 she had more than earned the title of “Atlanta’s First Lady of Tennis.” Of her 43-year career as a tennis umpire, she said, “I liked to officiate in tournaments where there was a minimum of uptight players and prima donnas. I preferred to be around people who enjoyed the game.